In front of a panel of seven (Lords Neuberger, Hope, Walker, Mance, Clarke, Sumption and Reed) in the Courtroom 1 of the Supreme Court from Monday 5 November until Wednesday 7 November 2012 is the matter of R (on the application of Prudential plc & Anor) v Special Commissioner of Income Tax & Anor. The appellant financial services company was served with notices under the Taxes Management Act 1970, s 20 requiring the disclosure of documents relating to a tax avoidance scheme to HMRC. It is for the Supreme Court to determine whether the protections offered by legal professional privilege extend to communications between a client and an accountant seeking and giving legal advice on tax law. Case details are available here. On Wednesday 7 November 2012 the Supreme Court will hand down judgment in Morris v Rae, an appeal from the Scottish Court of Session concerning title to land, which was heard on 3 October 2012. 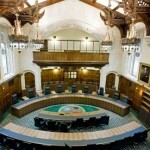 The Privy Council will hear Lancashire Insurance Company Ltd v MS Frontier Reinsurance Ltd on Thursday 8 November 2012. This Bermudian appeal will determine whether or not an agreement for the assignment of a commercial lease was validly terminated by the respondent by the service of a contractual termination notice on the appellant. Here are the case details. On Thursday 8 November 2012 the Privy Council will hand down judgment in Taitt v The State, an appeal against a death sentence from the Republic of Trinidad and Tobago. R (Gujra) v Crown Prosecution Service, heard 4 October 2012. 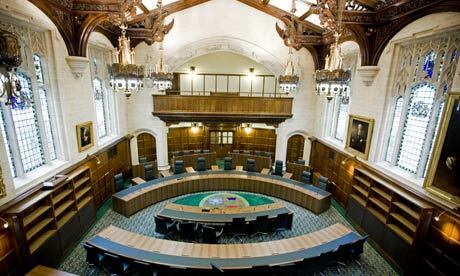 Leave a reply on "In the Supreme Court w/c 5 November 2012"